The Duby offering is now closed and is no longer accepting investments. Since Duby’s app launch in 2015, over 250,000 people have become active members. We promote a clean and safe place where cannabis users can share their experiences and connect with the community. We made social secure. We applied our technology to the burgeoning cannabis industry where people may or may not be in a legal market, or are tourists, and want greater privacy. Cannabis consumers, more than any other, desire privacy and the comfort of protected social accounts. The new Duby Explorer has increased business profile views 645% in only 4 months since release. We believe after years of research and development, we combined the best of cannabis social with lifestyle, brands, and products. We also believe that the new Duby Explorer revolutionized the way our users and businesses connect and communicate with live videos, scoreboards, and maps. Our goal is for advertisers to tap into our demographic to reach consumers in proximity to their business. Duby for Business began less than one year ago and since that time we have consistently grown. As of June 2018 we have grown to more than $20,000 in monthly revenues. Of that, more than 85% are recurring revenues from the sale of in-app business profiles and social media management services. Duby has successful products and services that scale. After years of product development and now sales, Duby is positioned to amplify its success with additional capital. We believe we are uniquely positioned to take advantage of the cannabis retail and consumer markets by investing in user acquisition, and retention through development and marketing. "Duby is primed to grow after years of research and development we have a robust app with highly active users that our new business accounts love." or reaches the maturity date, whichever occurs first. $500 — Duby Swag Bag and a personalized thank you from the crew! in Denver, Colorado on Saturday, April 20th, 2019.
plus and a free Duby for Business Account for 1 Year. and a free Duby for Business Account for LIFE. All perks occur after the offering is completed. The date, time, and location of the Duby 420 Private Party may be subject to change and will be determined upon closing of this offering with a minimum target of $107,000.00. The invitation to the party does not include travel and accommodations or any guarantees. A Duby for Business Account is a Starter Retail Account, currently valued at $1188.00/yr. In a world of unlimited possibilities and new ideas, you want to find those companies that have an edge on time and technology. Sometimes you get lucky and find companies that offset your portfolio years down the road. Adding fuel to this engine will accelerate us down that road to reach the finish line faster. "I started Duby to invest in what is right, not right now. We are all just babies in an emerging market... a market that will someday exceed the sales of tobacco and alcohol combined." "LocalBlox, a data analytics company, describes on its website how it 'automatically crawls, discovers, extracts, indexes, maps and augments data' from a variety of sources, including Facebook, LinkedIn, Twitter and Zillow to build a '360 Degree people view,' that is then sold to marketers. . . . . Data contained in the leak included names, physical addresses, dates of birth, scraped LinkedIn job histories, public Facebook data, and Twitter handles. Somebody with access to this data could theoretically use it to commit fraud, identity theft, or to aid in a social engineering scam like phishing." Users are anonymous by default. Since the advent of mobile computing and social networks, we have become accustomed to giving up our privacy for the sake of convenience. An emerging and largely illegal market like cannabis deserves a product that keeps a users information private while keeping the bad guys at bay. Social networks have evolved from simple photo sharing to chat and live video feeds, all to keep you entertained. We believe Duby gamifies social by adding a score that is based on user's quality of the content. We have scoreboards where users can see how their dubys compare in real-time. Users compete to be the top user or have top dubys. It's truly engaging. Content in Duby is passed to users nearest their own location. This means business advertisements work the same way for hyper localized results. Duby is a social network that is anonymous by default. A social network with features of gaming turns up the fun. Our fresh, relevant content is key to long term engagement. Cannabis businesses need localized results. Duby launched the new Explorer page just a few months ago in March of 2018. Since then we have seen explosive growth, with a 645% increase in business profile views! Explorer combines maps, menus, brands, deals, vastly improved search and featured branding. Explorer gives cannabis retail stores and brands a showcase for their products and locations. Maps with directions that show the nearest stores and brands makes it easy for users to interact with businesses. Featured retail and brand sections puts your business in front of every user, every day. This has allowed us to expand our offerings to include featured explorer spots, map pins, GEO targeting ads in addition to the normal business profiles and the results have been amazing. We believe we are successful in managing our own cannabis social media presence and yours too! In addition to selling subscription-based marketing services in the Duby app, we also manage your other social media in one package. We also believe that Cannabis companies, much like all others, need to have an active social media presence. It requires time and skill to manage multiple social networks like Facebook, Instagram, Twitter, and Duby. That's why we also offer complete social media management services that are specialized for the cannabis industry to ensure your accounts are complying with policies and remain active to utilize as an advertising medium. The Cannabis market is rapidly growing. According to Statista, the industry is projected to reach 57 billion in sales in the US by 2027. (Thomas Pellechia, forbes.com, 2018) Duby is taking advantage of this opportunity by providing a social media platform that connects both the user and the cannabis market in one convenient app. To put all this into context, since 2006, the Alcoholic Beverage Industry has reached 223 billion sales in the US. Imagine if you had invested in Budweiser before the Prohibition lifted. Now picture yourself investing in Duby during the Green Rush. Duby is tapping into an industry that is denied by every other prominent form of social media such as Facebook, Twitter, Instagram, Youtube, and even Google. In 2017 Canna Ventures, a marijuana Marketing Firm, expressed that marijuana and Google “were a match made in Hell” due to Google’s strict policies on weed related content. The new attitude is changing the minds of some of the most conservative investors. Viridian Capital Advisors noted $1.23 billion dollars worth of investments were documented as they funded various cannabis and industrial hemp businesses in just the first month of 2018. With increasing support of the federal legalization of weed, the big social media players are going to want in to a space already dominated by us. An investment in Duby is an investment in the future of cannabis media. Traditional social media frowns upon cannabis businesses, denying them access to the 81% of the US population that have a social networking profile. Duby provides a social platform that creates a cannabis focused community that simultaneously merges business advertising with user engagement all while providing a secure and anonymous platform to do so. Duby Headquarters is a block from the gold-encrusted tower of the Denver Capitol Building; in the same area that was the peak of the gold rush of the 1850's. "Back then, those who made the big bucks were not the miners, but rather the sellers of ancillary products like picks and shovels who really raked it in." Fast forward a hundred and sixty years and we find Duby is in the center of the Green Rush and has a big head start! Duby is ancillary to the cannabis market, meaning we do not touch the plant. We provide the store and sell the picks and shovels to those who do, so to speak. This has made Duby a popular place for cannabis consumers and business. When users and business connect people of similar interest to learn, shop, and share in the same place they tend to come back often. Just like the Gold Rush, our users are voracious miners of content. Duby’s inception was brought about by the therapeutic properties of cannabis. In 2012, co-founder and CEO Russ Thomas began successfully treating his 1 year-old son’s condition with Cannabidiol (CBD). Jack has an incurable condition called Fragile X Syndrome; it’s essentially DNA corruption that leads to mental retardation, social anxiety and autism. He could not walk, talk or even eat solid foods. Thomas became the first parent to treat FXS symptoms with CBD -- and the results were overwhelmingly positive. Jack now walks, talks and eats everything in sight. The Thomas Family is responsible for pioneering a treatment regimen now used by many. The key to knowledge is the ability to share information freely. Duby was created for people to share their experiences and collective knowledge of cannabis without bias or concern of privacy. One of the most used hashtags within the app is #dubyfam. We don't know who started it, but it was in the very first week for sure. We love it and live by it to this day. From the founders to the followers, we are all family at Duby and it drives the incredible quality seen in the company, the app, and in the amazing community itself. So many of us have made life changing sacrifices to make this company a success. Every one of us works harder than we can, longer than we should, and for less than we are worth because this is more than just a company and an app, it's a new era and we want to lead the way. Q: You have already earned money from investors, why are you crowdfunding? A: Since June, 2015 we have raised more than $1.5 million from angels, founders, and seed round investors. Crowd funding allows us the chance to open up investment to all persons, including our loyal #dubyfam users and not just big business investors. In this way we are shifting the previous status quo and putting the investment power in the hands of anyone who supports cannabis and the Duby family. Q: Are there negative repercussions from working in the cannabis industry? Could you get shut down and we lose our investment? A: We are ancillary to the Cannabis Industry, we do not directly deal with the plant or any cannabis products, we simply support the use of marijuana. This reduces the risk of getting shut down significantly and as long as we abide by our platforms policies we should be around for many years to come. A: Anyone and everyone that supports cannabis and the Duby app can invest. The Securities and Exchange Commission now enforce Regulation CF which allows both accredited and non-accredited investors to participate in investing as described in the Investor Bulletin: Regulation Crowdfunding document published by the SEC. Q: Can I cancel an Investment? A: Yes, you have up until 48 hours prior to a closing of the Offering to cancel your investment. This includes any "rolling closes" as defined in Exhibit E of the Offering Document. To do so, you can go to your Investor Dashboard and cancel through there directly, or if you have questions you can contact start engine support at contact@startengine.com or use their live chat services available Monday-Friday between 12pm and 8pm EST. Q: What if I need help making an investment? A: For assistance with investments you can contact support at contact@startengine.com. Mashables top 6 cannabis apps for 4/20 and Duby is a must get. Duby allows it's users to interact and share pictures or dubys and spread their experiences around the world. The better the content the farther thier dubys will be passed. Russell Thomas co-founder and CTO of the app Duby explains his journey into the cannabis industry. He states his son's diagnosis of Fragile X Syndrome and the relief he got from medical marijuana sparked his advocacy of the plant. Now he works to break the negative views towards cannabis. The best way to enjoy marijuana is with a friend. The Duby app does just that. Users take pictures called dubys and share them with users closest to them. Depending on the content dubys can be passed around the world. Alec Rochford, CEO, describes the app more like a game then just a social network. Pot is popular and the Duby app has proved it. In the first week of it's launch it got 1000 downloads with no publicity. People love marijuana and this app allows the cannabis community to share and compete for the best content safely and anonymously through pictures, videos, and texts called dubys. The app Duby is combining the best of social media into one easy to use app. The app focuses on picture and video content called dubys that can be shared and spread across the world depending on how likable the content is. The more your dubys are passed the higher your score. The Cannabist talks to the creator of the cannabis social networking app Duby. An app that provides a safe and private place to share user's cannabis experiences. The show interviews the CEO of Duby, Alec Rochford about the start of Duby and the opportunities it provides for the cannabis community. A convertible note offers you the right to receive Common Non-Voting Membership Units in Duby, LLC. The number of membership units you will receive in the future will be determined at the next equity round in which the Company raises at least $500,000 in qualified equity financing or the note reaches the maturity date. The highest conversion price per share is set based on a $5,500,000 Valuation Cap or if less, then you will receive a 20% discount on the price the new investors are purchasing. You also receive 5% interest per year added to your investment. When the maturity date is reached, if the note has not converted then you are entitled to receive Common Non-Voting Membership Units equal to your investment and interest back at a price per security determined by dividing the Valuation Cap by the aggregate number of outstanding common shares of the Company as of immediately prior (on a fully diluted basis). Software development and social marketing services company. 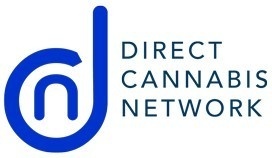 Owner and operator of Duby, a social network for the cannabis community, plus the suite of software applications that make up and support the Duby Social Network, and is a provider of social media and marketing products and services. $2,500 — A single (1) invitation to the Duby 420 Private Party in Denver, Colorado on Saturday, April 20th, 2019. $5,000 — A pair (2) of invitations to the Duby 420 Private Party in Denver, Colorado on Saturday, April 20th, 2019. $10,000 — Two pair (4) of invitations to the Duby 420 Private Party,plus and a free Duby for Business Account for 1 Year. $25,000 — Two pair (4) of invitations to the Duby 420 Private Party,and a free Duby for Business Account for LIFE. *All perks occur after the offering is completed. The date, time, and location of the Duby 420 Private Party may be subject to change and will be determined upon closing of this offering with a minimum target of $107,000.00. The invitation to the party does not include travel and accommodations or any guarantees. A Duby for Business Account is a Starter Retail Account, currently valued at $1188.00/yr. Duby, LLC will offer 10% additional bonus shares for all investments that are committed by StartEngine Crowdfunding Inc. shareholders (with ≥ $1,000 invested in the StartEngine Reg A+ campaign) within 24 hours of this offering going live. StartEngine shareholders who have invested $1,000+ in the StartEngine Reg A+ campaign will receive a 10% increase in the annual interest rate on Convertible Promissory Notes in this Offering if they invest within a 24-hour window of their campaign launch date. For example, if invest in the first 24 hours, your annual interest rate will be 5.5% instead of 5%. The Company might incur Irregular Use of Proceeds that may include but are not limited to the following over $10,000: Vendor payments and salary made to founders and operators; Any expense labeled "Administration Expenses" that is not strictly for administrative purposes; Any expense that is for the purposes of inter-company debt or back payments, specifically we are planning on paying a portion, or all of our existing short term, high-interest rate, credit card debt mentioned above to reduce monthly interest expenses and the existing loans provided to the company by it's co-founder. We are happy to announce to our investors and followers that October was a great month for Duby. We saw a significant increase in revenues from our two newest divisions of the company - social media management and cannabis consulting. Our social media division saw a substantial increase in customer demand with recurring revenues growing more than 50% from the month prior due to an increase in sales of new subscriptions for our cannabis social media management services. Additionally, our consulting and development arm of the company, Duby Digital, saw revenues double for the month of October from the sale of new contracts with expected continued growth in the months ahead. As of recently, we have developed and launched two new sites that will accelerate the sales process and make it easier for new and existing customers to purchase and manage services. The new sites, www.dubyforbusiness.com and www.dubysocial.com, allow customers to purchase business accounts and manage add-ons. To celebrate the launch of our new sites, we are running a limited-time sale until the end of the year for 50% off new Duby for Business accounts! This is an exciting time for Duby as we continue to grow and we’re thankful to have loyal supporters throughout this process. With your help, we plan to accelerate application development substantially in the coming year with the launch of new features that will greatly enhance the Duby experience for users and businesses alike.